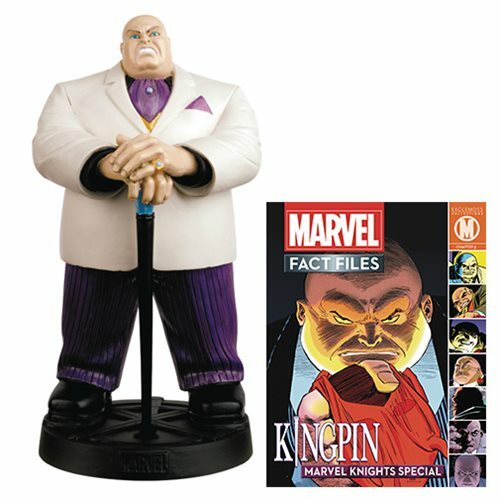 The Marvel Knights specials continue with Wilson Fisk, the Kingpin of Crime, a cold, calculating mob boss who has brought Daredevil to the brink of defeat on many occasions. The figurine stands approximately 5 1/2-inches tall and comes complete with a 20-page magazine detailing the character's long publishing history. Ages 14 and up.